LAS VEGAS (January 4, 2016) – Several end-of-year praises, including two Fighter of the Year honors for featherweight world champion Carl Frampton, will add prestige and excitement for the highly anticipated rematch between the Northern Ireland-native and former three-division world champion Leo Santa Cruz, which will take place Saturday, January 28 at MGM Grand Hotel & Casino in Las Vegas live on SHOWTIME. 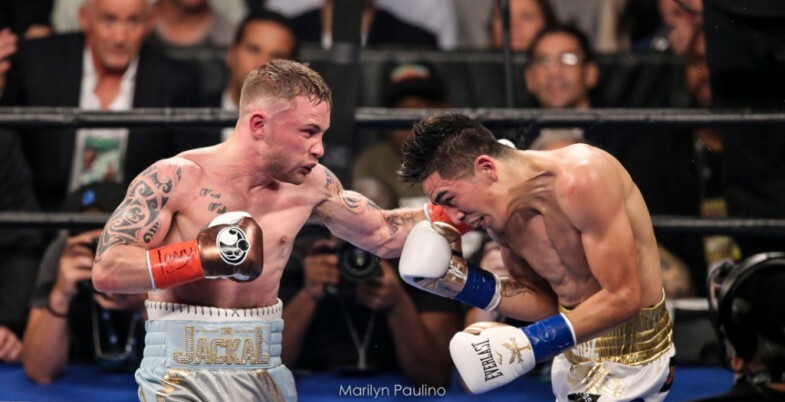 Frampton was named the 2016 Fighter of the Year by ESPN and Yahoo Sports, with both outlets highlighting his sensational victory over Santa Cruz in July, a ferocious battle that made Frampton the first Irishman to win world titles in two divisions. In February, Frampton bested junior featherweight world champion Scott Quigg to unify world titles in a UK mega-fight. Both the Frampton vs. Santa Cruz and Frampton vs. Quigg fights were shown on SHOWTIME. Frampton is also a nominee for the BWAA Sugar Ray Robinson Fighter of the Year award that will be announced in February. Frampton’s fight against Los Angeles power puncher Santa Cruz also earned honorable mention for Fight of the Year from ESPN and USA Today. ESPN ranked round 12 of their action-packed matchup as the third best Round of the Year. In addition, the Frampton vs. Santa Cruz clash is nominated for the BWAA’s Muhammad Ali-Joe Frazier Fight of the Year. Frampton’s recognition spanned across the globe, as he was awarded the BBBofC Fighter of the Year award, the most prestigious boxing award in the UK. He also was selected as the PBC Fighter of the Year, with Santa Cruz vs. Frampton being named a finalist for PBC Fight of the Year. The multitude of year-end honors has continued to build excitement around what will undoubtedly be another action-packed display of grit, skill and action later this month in Las Vegas. 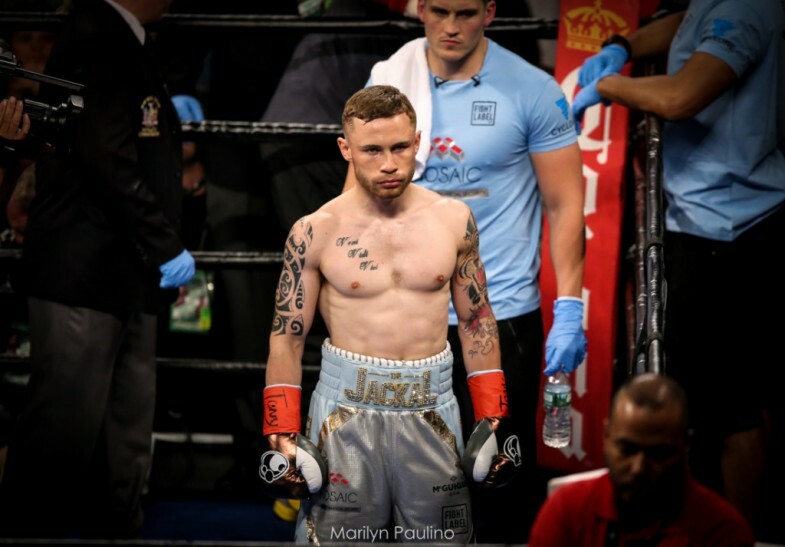 Frampton will look to cement his status as one of the best pound-for-pound fighters in the world, while Santa Cruz will look to take back his featherweight world title and regain his position at the top of the division. 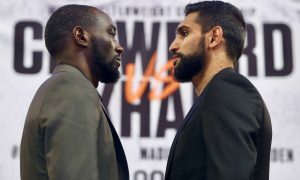 The SHOWTIME CHAMPIONSHIP BOXING doubleheader will be televised beginning at 10 p.m. ET/7 p.m. PT and features unbeaten lightweight world champion Dejan Zlaticanin taking on undefeated former two-division world champion Mikey Garcia.